The refurbished VTEC Mark 4 set with modifications to the Class 91/DVT to make it look more real. The sides. Search the class 91/MK4 DVT on google and look at the sides of the trains and compare that to what I've done. So you dont want me to make liveries? Yes, but from the pictures that I uploaded below. (Branding is not relevant to the trains and also the Class 201 Loco's have 3 liveries. 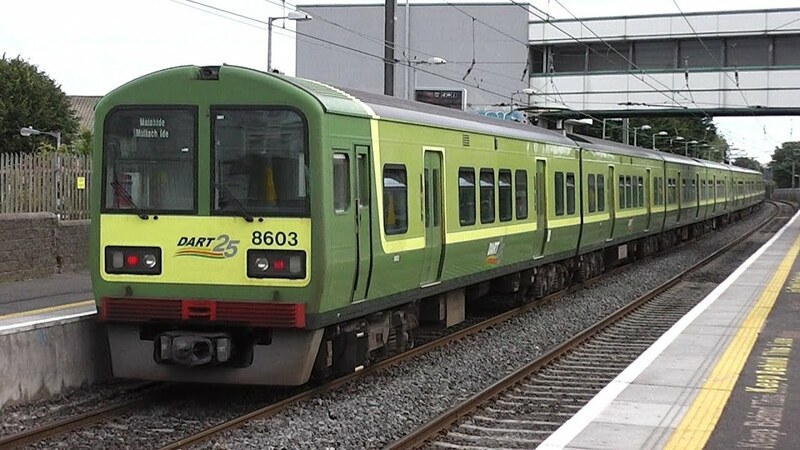 1: Enterprise Refurbished, 2: Irish Rail New Logo (Intercity) and 3: Common Livery (Locos 231 and 233 only.)) I also highly recommend to go onto the NIR/IE Wikipedia pages to take a look at the rolling stock. Nice work. I hadn't even thought about the Pretendolino! Thanks, its a shame it doesn't run anymore, already been with Greater Anglia and been passed on, it's currently in Laira, Plymouth for a refurbishment and it is rumored to be going to TransPennine for driver training. Here's an update to the source files I've updated previously! As ever this is a supplement to the full download - I'll produce an amalgamation at some point. 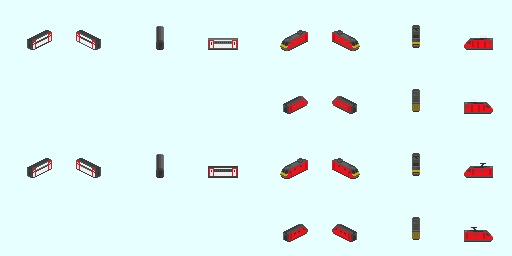 Could someone make and send me the pak file for a Virgin East Coast HST and Coaches, also the Virgin East Coast full 91/MK4 set, that would be much appreciated, It's for a custom rail network. I don't have a VTEC HST, but I think somebody else might have done this? If not, I'll get around to it in due course. Hi, I'm just wondering. Is there any work on them being Simutrans Extended compliant Carl? Not at the moment, though anybody is welcome to edit the sources. What changes are required for this? Acceleration and Deceleration, Passenger and Mail classes and a number of other features. Based of what ive seen on Extended, the British Map would not work. There are some features included for example maintenance that would require constant updating on a map with a proper timetable. Also the class system would require redrawing and editing a lot of the trains to designate this. Interesting. I wouldn't mind one-off changes to dat files, but "constant updating" doesn't sound feasible on a large map. What exactly is it that requires updating regularly with regard to maintenance? Ways wear as convoys pass over them and the level of wear that each way can tolerate can be set in each way's .dat file using the wear_capacity=. The default value if not specified is 100,000,000. The degree of wear exerted by each vehicle can then be set in each vehicle's .dat file, using the way_wear_factor=. By default, road and air vehicles (air vehicles acting like road vehicles on the ground) calculate their wear using the fourth power law based on the maximum axle load and an attempt to deduce the weight. Rail and allied vehicles default to a power of 2 (but query whether this should be a power of 1, i.e. linear). Water craft will default to zero, as water craft do not normally wear ways. The wear is intended to be measured in 10,000ths of a standard axle load of 8t, meaning that if the vehicle has an axle load of 8t, the wear should be specified as 10000 per axle, and the ingame way wear for that axle should be exactly 1. The condition of the way is indicated in the way information window and a new "wear" overlay for the minimap, and when the condition falls below a set fraction (default 1/7th, approx. 14%, setting in simuconf.tab), the way either auto-renews or, if player has insufficient funds, becomes degraded. If a way degrades, the speed limit will be reduced by half and if it degrades all the way to zero condition, the speed limit will be reduced to zero, making the way impassible. By default, the way will auto renew to the same type unless it is obsolete, in which case the closest currently available type will be selected, however, a player can manually choose the type of way to which the way upgrades by SHIFT-dragging the new type of way over the old way. Auto renewing can also be disabled by SHIFT-dragging the way remover tool over the way and the way will behave in the same manners as when you have insufficient funds. The player is warned up to once a month if a way needs renewing and the player has insufficient money with which to do so. Its more In-Game than dat files. Thanks, that's interesting. It does sound like you could basically opt out of it by setting the dat files correctly. I'm quite a long way away from thinking about an Extended transition anyway. It's more likely that I'll look at it for any new projects I start. Sorry that we've got a bit off topic here. I will be updating the British Trains download soon, because I've changed several of the relevant graphics since the last update. Here is another supplement to this add-on pack with some new and updated trains! The dat files won't provide you with economically balanced vehicles, so you may want to adjust purchase costs and running costs. Will the Standard version of the paks be updated? Hi fam, you should be able to compile them from the dat/pngs in the latest download. Let me know if you have issues and I'll take a look. When will the SWR Class 455 be made into a diesel (third rail) unit? Will get around to that soon. I think those and the Southern 455s and the Class 319s are also still yet to be changed. Maybe Southeastern 376s too? No time to work on this recently, I'm afraid. We need the addition on some Class 385s. As I said on the other topic - there will be some updates forthcoming soon but Class 385s are probably some way off.